MAINLEA COOKING, LLC, a Farm Market vendor located on Oneida St, features Cold Pressed Certified Organic Avocado Oil, Apricot Kernel Oil, Grapeseed Oil, and Non-GMO Sea Salts for grilling and for seafood. 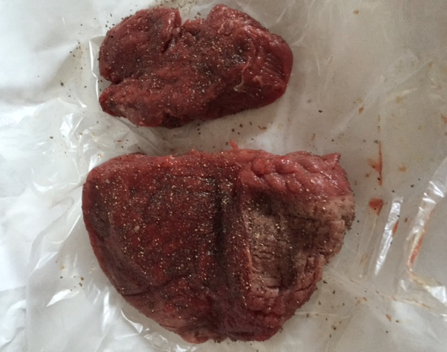 I had the Firewood Sea Salt as a rub for my tenderloin before grilling it on the gas grill. One can definitely taste the firewood flavor on the steak. It is a very hearty and robust flavor, which would compliment any cut of meat superbly. I loved the taste of my newfound seasoning. The sea salt is to steak, what jelly is to peanut butter. I love the fact that the salts are all natural and have no GMO’s. I was savoring every bite of my meat, and yet, when I got to the end of my steak, it had me wishing I had more steak. I am grateful my roommate bought a whole jar and I can have that every time I have beef. I’ve been told it is also very good on roasts as well, so I cannot wait to try that sometime. 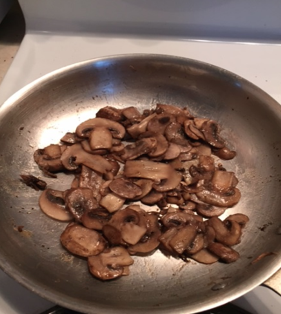 Next I sautéed mushrooms in the Apricot Kernel Oil. The oil really seemed to enhance the other dry seasonings I put on the mushrooms. It has a sweet, yet savory flavor. You could smell the apricot in the air while cooking. Sautéed mushrooms have never been such a delight. 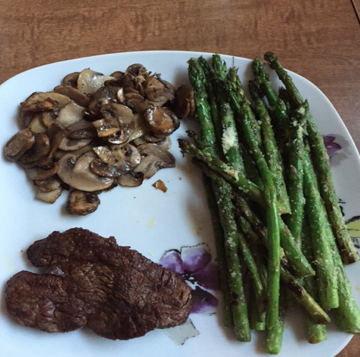 I kept them separate from my steak as to enjoy all the different flavors this meal brought to the table. My taste buds were definitely singing praises with this fabulously seasoned meal. I will definitely continue my relationship with this vendor. I can’t wait to buy the other oils and sea salts.